Mind-Reading show: May I read your guests' minds? Predict the future? 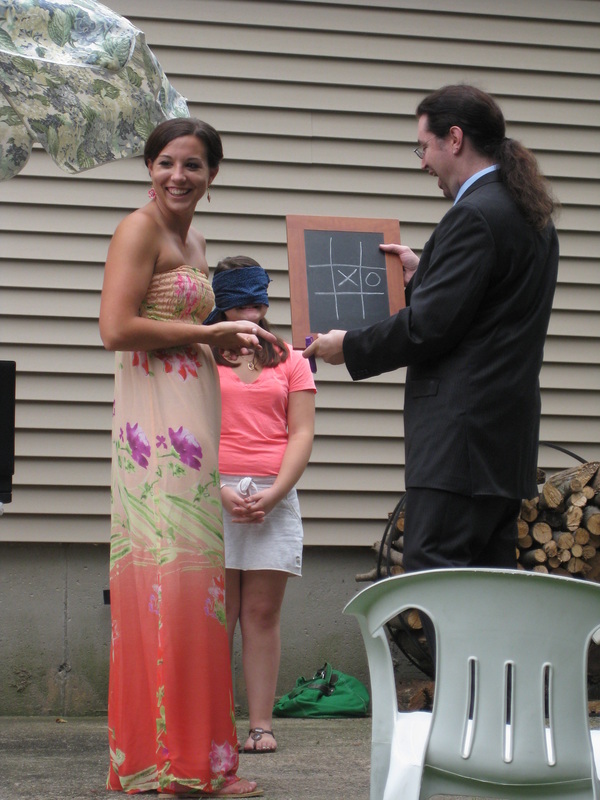 Demonstrate that your guests can read minds? Read a guest's personality from a item they are wearing? Perform acts that defy description? Many aspects of this show involve any number of participants, sometimes everyone in the room. Readings: An overwhelming hit at bachelorette parties, bridal showers, middle schools, "Girls Night Out" events across the Northeast USA, Colleges, and "Fashion's Night Out" in NYC. I provide ~5-minute readings (which can expanded or contracted as needed) that prove time and again to be a vital component of your guest's enjoyment. My most requested offerings are Tarot and palm, although other readings can be provided upon request. Contact me for details. Hypnosis: What more needs to be said on this subject? Even though I have still have people who tell me this isn't real, seeing is truly believing in this case. A world between two minds: a performance that truly needs to be witnessed in person, an impossible performance featuring my co-conspirator! Please note: until further notice, I will not be offering this option. The Paranormal Show: All the pieces I can't present at my mind-reading show! Only done around a table with 6-8 participants, this is the show that visits the fringes of the known/unknown, and (in some cases) the downright scary. Not for kids or the faint of heart (I mean it)! Please note: depending on the material requested/presented, a signed waiver may be required on your end prior to the start of my presentation.